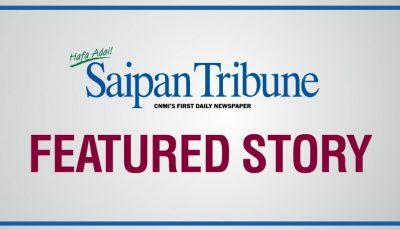 The Commonwealth Utilities Corp. Saipan’s non-revenue water—unaccounted and wasted water—went down to 62 percent from a high 77 percent shortly after Super Typhoon Yutu in October last year. CUC deputy executive director William Gilmore said last week that U.S. District Court for the NMI designated Judge David Carter is very happy with the improvement of the non-revenue water situation. Before Yutu’s devastation last Oct. 24 and 25, CUC’s non-revenue water was at 50 percent, then it jumped to 77 percent during the storm because a lot of leaks occurred and several wells went offline. “It’s at 62 percent now,” said Gilmore. At a recent CUC board meeting, board treasurer Matthew Holley identified non-revenue water loss as one of the items that CUC needs to improve on, as well as past and current billings with certain government entities, a five-year plan, and to better train and promote the staff. With respect to water services, Gilmore said they have been able to maintain the 100 percent water supply islandwide. He said there are issues of leaks but that’s normal until they have replaced all the pipe lines. He said they put together their priority list for the next round of U.S. Environmental Protection Agency’s funding. Gilmore said their wastewater treatment facilities are functioning, however, the clarifier down in Agingan is still offline. This should be operational again soon.